2002 hd f150 looking for suggestions on replacing all rotors and pads. What are you guys running these days that's not crazy in price any help would be appreciated. I bought the power stop lightning calipers along with extreme towing/HD rotors/pads they offer. Price was reasonable. Will install these along with my Hydra Tech hydroboost system in the coming weeks. I used http://www.rotorpros.net Dimpled and Slotted. I've had good results. They are still doing fine. I got all 4 rotors and Hawk ceramic pads. They are not Baer or Wilwood but the cost is much better. All harley between 00 and 03 are 2wd. All of them. 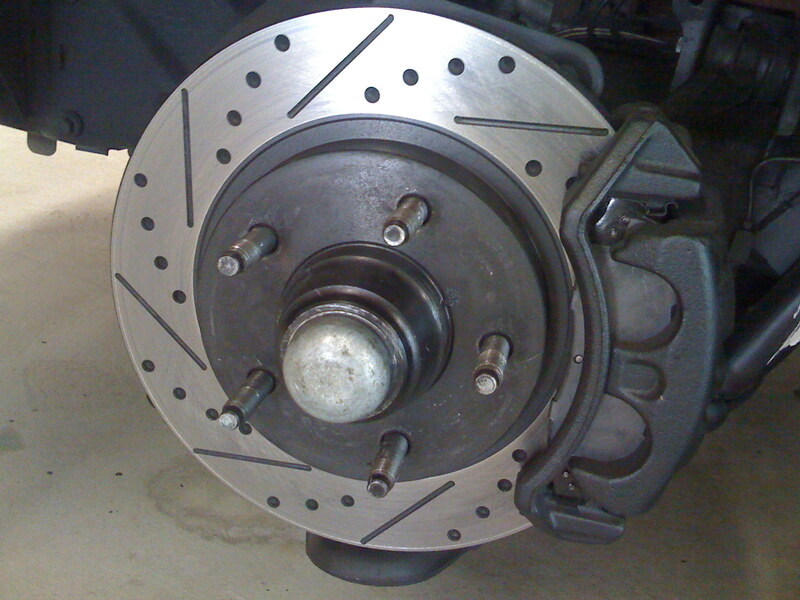 Im looking at brakes as well and i have read that the lightnings have expedition rotors which are a lil bit bigger. And i believe f250 calipers. Im going to ford tomorrow to get all the Part numbers to double check. Might be small increase in braking power. But better is better imo. Then i can use that info to maybe find cheaper braking parts. Piece it all together. I upgraded mine to the Lightning calipers and rotors using the Power Stop kit. I also upgraded the brake lines/hoses to stainless steel. The stopping power now is fantastic. Highly recommend doing it. I was looking that route as well. Just wasnt sure if it would be cheaper to get all the parts individually by not saying its for a lightning. Did you also go to hydro boost too Shawn? I did for a few days and then pulled it off. In my opinion it wasn't worth the cost for a mostly stock truck. I pulled it off and sold it along with a few other mods that I'm not going to do. Leaving it as is now and will lower it this fall with my TVS system. Up here in Canada they want 400 bucks for 2 rotors & pads, plus install. Does 170.00 seem right price for all I need?? I can have them shipped to NY & pick them up on my way through next month. I did for a few days and then pulled it off. In my opinion it wasn't worth the cost for a mostly stock truck. Really? Did you not like the feel of it? The feel was about the same as all of my other cars, which was fine. I drove around on my new brakes/lines for a few days before installing the setup and frankly it wasn't worth it to me for the expense. Did you buy the kit with the Power Stop calipers or are you using the stock calipers? This is the route I'm probably going, along with replacing all the brake lines in the process.